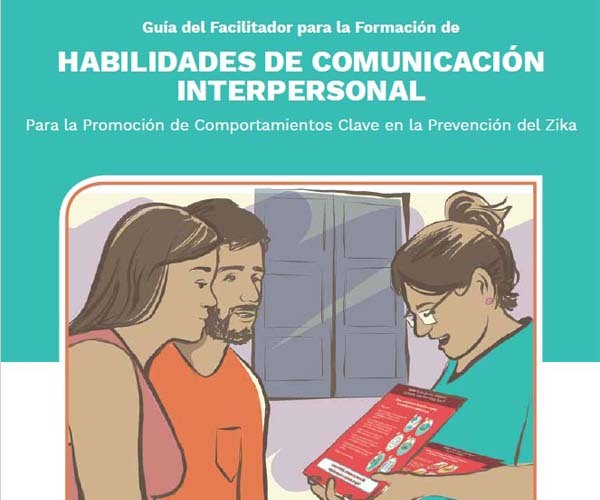 This guide (in Spanish) is for facilitators who will lead trainings in "Interpersonal Communication Skills for the Promotion of Key Behaviors for Zika Prevention," to guide them step by step, on how to implement the training to their field teams. The document includes didactic guides of the seven sessions that make up the workshop. Each guide presents the learning objectives, methodology, and activities. Also included in the annexes are the educational materials necessary to offer the sessions, practical exercises, and readings to be delivered to the participants. Also included in the annexes are educational materials necessary to facilitate the sessions, practical exercises, and readings to be delivered to the participants. The guide includes the key messages from the Zika Prevention Behavior Matrix and the tool Key Tips for the Prevention of Zika: A Guide for Home Visits (in Spanish).